Due to a cold I am posting this later than planned – Oh the chaos of life! I wanted to try Peter Kurivita’s Pol Sambol recipe and it turned out really fresh with the lime juice and this time I added the chilli as it was a small amount for just the adults! What better way to clear out your cold than to eat chilli. I decided to enjoy the Pol Sambol with a coconut roti made with added Habanero peppers to add a bit of colour and flavour to the roti. And it turned out better than expected as the pepper flavour throughout the roti added the right amount of texture. 1. 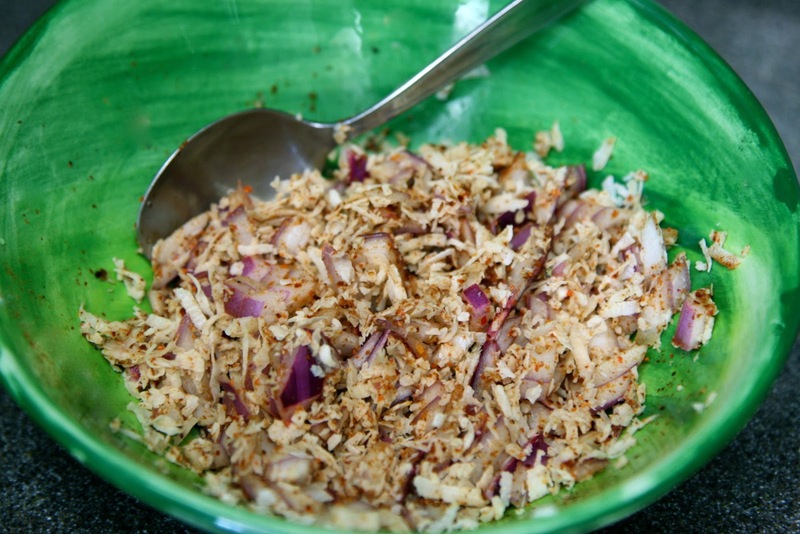 Add the coconut to the bowl – mix in chilli, red onion, pepper, a dash of lime to make the sambol nice and wet but not sloppy. Add salt to taste. 2. 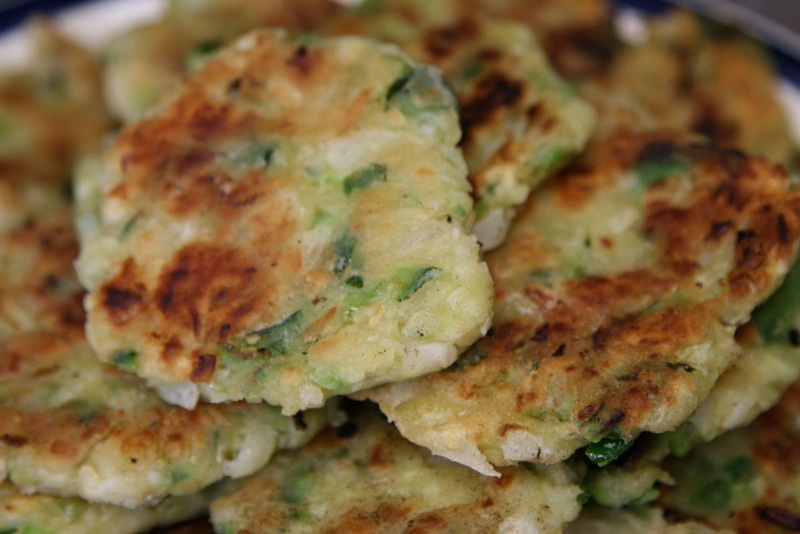 Serve with coconut roti. Rotis with a bit of green! 1. Prep onion and pepper in food processor – pulse till they are small. 2. In a large bowl mix onion, pepper, flour, desiccated coconut, butter, salt and water. 3. Mix all the ingredients together to make a dough that can be formed into balls. 4. On a floured surface place balls and flatten -the kids can help with this. 5. Heat up a heavy based skillet and fry in oil until brown on both sides. 6. Drain oil on a paper towel and serve the Roti with your favourite curry or sambal.